Explore the Buarcos Fortress in Figueira da Foz, Coimbra, Portugal. The Buarcos Fortress was part of the defensive system of this part of the Portuguese coast, along with the Santa Catarina Fort and the Fortim de Palheiros (Little fort). It is believed to be built in the 16th century, during the reign of D. João I. Despite this, on it there are also references to works promoted by D. Pedro, Coimbra’s Duke, or by D. João III, who made new works. 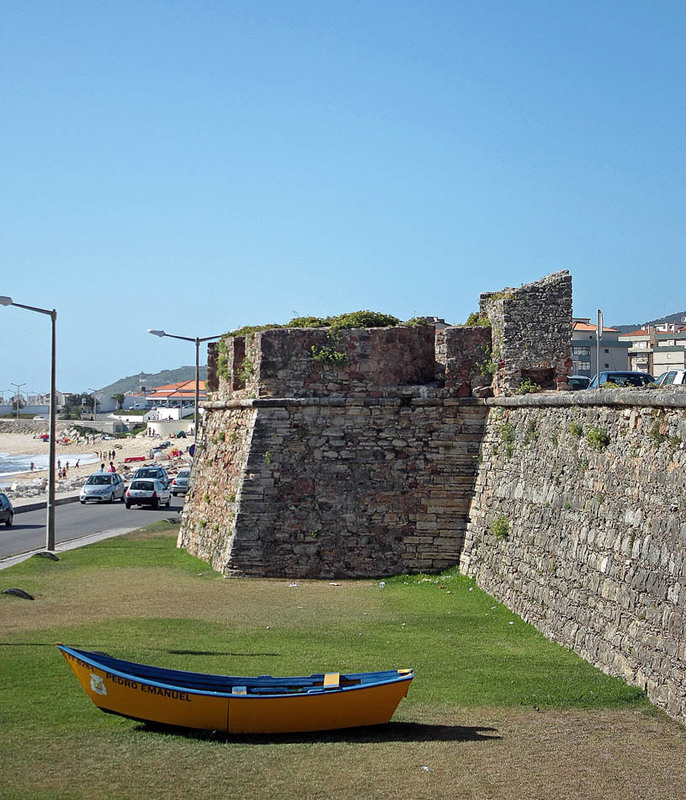 This fortress was attacked numerous times, mainly by Dutch, English and Algerian pirates. During the 17th century it was devastatingly attacked by Englishmen, and many buildings were destroyed in Buarcos, so that it marked its history. The fortress was greatly reconstructed under the control of Filipino, and afterward in the 18th and 20th centuries. Nowadays, just a part of its walls is preserved. Rua 5 de Octubro, Buarcos, Figueira da Foz, Coimbra.